“Make sure your diet is rich in fruit and vegetables and low in sugar and saturated fats,” says Dr David Mantle, medical adviser at nutrition brand Pharma Nord (www.pharmanord.co.uk). “High dietary sugar and fat intake can suppress immune function. Modern food processing methods can leave our diet lacking in key nutrients, so take a high quality multivitamin daily. Beta 1,3 1,6 glucans are also important to activate your natural immune defences. “Take the herbal remedy echinacea at the first sign of feeling run down to help support the immune system to fight off colds and flu,” says Alison Cullen, nutritional therapist with A.Vogel (www.avogel.co.uk). 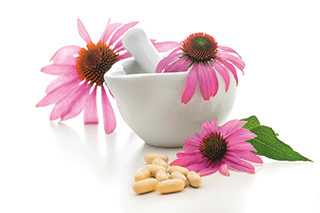 New research shows that echinacea reduces the risk of pneumonia and other secondary complications following a cold or the flu, and reduces the likelihood of reinfection. The meta-analysis included six clinical trials with 2,458 participants and found that 65 per cent of infections leading to pneumonia could be prevented by using echinacea, whilst reinfections were reduced by 58 per cent. 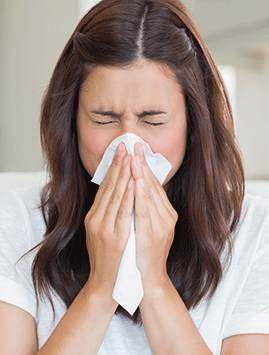 Sleeping fewer than seven hours a night can increase your risk of catching a cold. Not washing your hands – especially after using communal telephones, travelling on public transport or touching door handles – is one of the easiest ways to catch a cold, transmitting the common cold virus to entry points in our body like our nose and eyes.